Soros, “born in 1930 in Hungary to well-off anti-Semitic Jewish parents” funds Another Europe is Possible says Weekly Worker. This Friday is proving to reap a number crop of Trainspotting jewels. Jack Conrad, known to be John Chamberlain, a Hampstead toff who enjoys fine wines in his exclusive Heath residence, normally channels his thoughts and energy into the work of the Labour Party Marxist. With a substantial shareholding in Labour Against the Witch-hunt, ably run by his trusted minion, Tony Greenstein, who asks for little beyond a daily van-load of mince-pies in return, life is sweet. The elder statesman can look back on a successful career in the Communist Party of Great Britain (faction: The Leninist), the Socialist Labour Party, the Socialist Alliance, Respect, the Campaign for a Marxist Party, Left Unity, amongst others. He has built long-term close relations with the Republican Socialists/League Against the Corn Laws, and Gerry Downing’s Socialist Fight – both groups have regular columns in Chamberlin’s hebdomadal organ, the Weekly Worker. For some reasons, comrades suggest the green eyed-monster is at work here, he does not esteem Another Europe is Possible. This may be because it does not have a funny sounding acronym. It might be because he does not like the new best friend of this Blog, good old George Soros, our mucker. Genius has its own rules. This is some of Chamby’s prose poem, just out today and already stirring up debate in the Duck and Dove. To praise, to cooperate with, to promote a People’s Vote is to praise, to cooperate with, to promote the interests of big capital and bourgeois politicians, such as Chuka Umunna, Vince Cable and Anna Soubry. Organisations such as the Alliance for Workers’ Liberty, Socialist Resistance, Left Unity, etc, do exactly that. To all intents and purposes they constitute themselves the extreme left of liberal opinion. The embodiment of such abject opportunism is Another Europe is Possible. Its perspectives are thoroughly reformist; its attitudes tailist and accommodating. Reviving illusions in the capitalist states of Europe combines with a strikingly naive endorsement of the EU’s supposed “core values” of “peace, democracy and ever closer union”. Konrad Adenauer, Jean Monnet and Robert Schuman would have approved. EIP provides a “progressive left” flank for People’s Vote and the interests of anti-Brexit big capital. 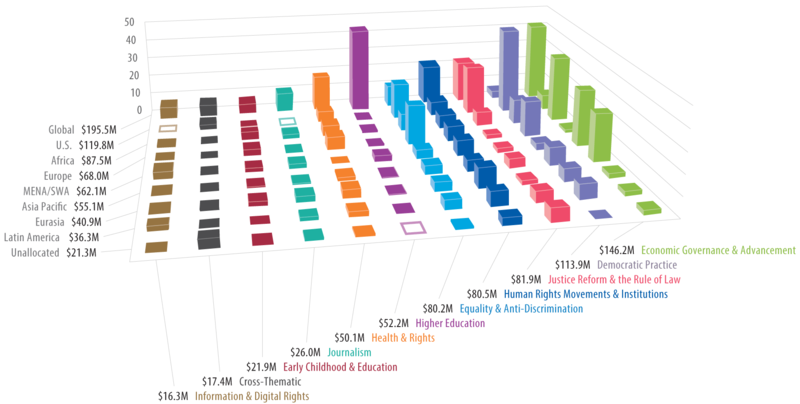 Unsurprisingly, given the invaluable nature of such a service, AEIP has received some substantial financial grants and donations. More than mince-pies I’ll wager! Figures for February 2016 to May 2017 reveal £45,000 from the Joseph Rowntree Reform Trust, £2,000 from a certain C Lucas, £4,000 from LUSH Ltd, £5,000 from N Marks, £5,000 from Open Democracy and £2,000 from Unison. From June 2017 to May 2018 the Joseph Rowntree Reform Trust upped its AEIP contribution to £75,000 … and more recently still George Soros chipped in with £70,000. The more stupid amongst AEIP’s paid employees, partisans, allies and dupes claim that taking such money is essentially no different from the Bolshevik leaders, Lenin and Zinoviev – along with a range of other leftwing Russian émigrés – negotiating with the German authorities to travel from their Swiss exile back to revolutionary Russia in 1917. For those interested, indeed capable of digesting the previous stream of consciousness, there follows a long diatribe about esteemed Comrade Soros which links it, for reasons which Cde Greenstein’s’ Nerve Doctor, Sir Roderick Glossop, may be able to explain…. Over the last two or three years there has been a huge, unprecedented campaign to equate anti-Zionism with anti-Semitism. A campaign carefully crafted, hatched and skilfully promoted by the US right, the Israeli government and the British establishment. The AWL and its Clarion outriders provide a useful ‘left’ cover. Accusations of conspiracy-mongering and anti-Semitism are therefore clearly unfounded – a desperate attempt to prevent, to close down, to head off critical discussion of the AEIP’s politics and finances. Pause for the rhymester to continue. Ironically, it is quite conceivable that Soros would himself be found guilty of anti-Semitism under the IHRA’s so-called definition. Spiked-on-Line and Stephen Potter: The Praxis of Lifemanship. The Telegraph. Frank Furedi (founder of the Revolutionary Communist Party Living Marxism (LM). 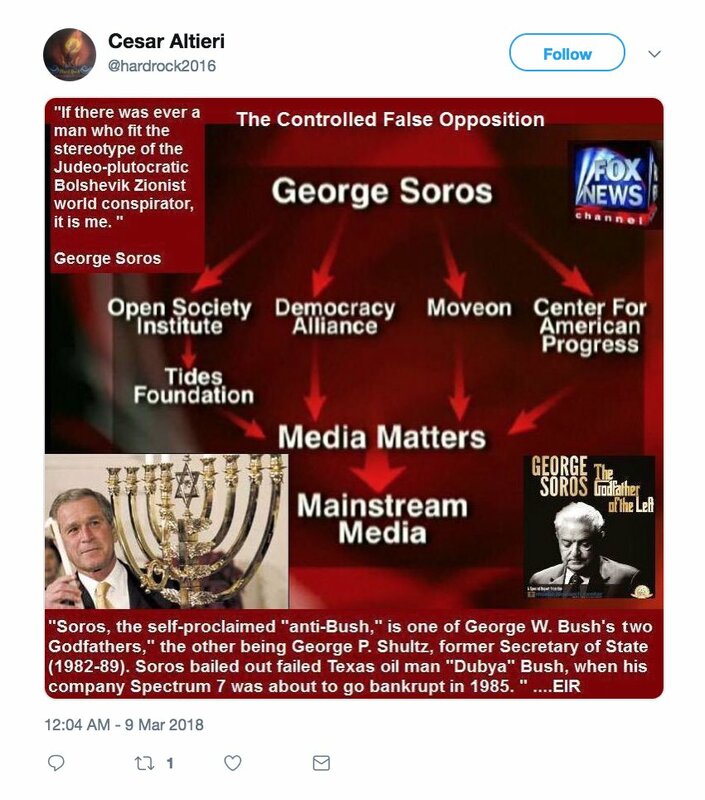 They claim that the headline of the Telegraph piece is an anti-Semitic trope: it says Soros is ‘backing secret plot to thwart Brexit.’ That’s anti-Semitic? That would be a more convincing argument if the Telegraph and others hadn’t also regularly written about other plots – of which there are many! – to overthrow the democratic vote for Brexit, including those that do not involve donations from billionaires who happen to be Jewish. Brendan O’Neill. Spiked on Line. Nick Timothy liked the story so much he re-tweeted it. 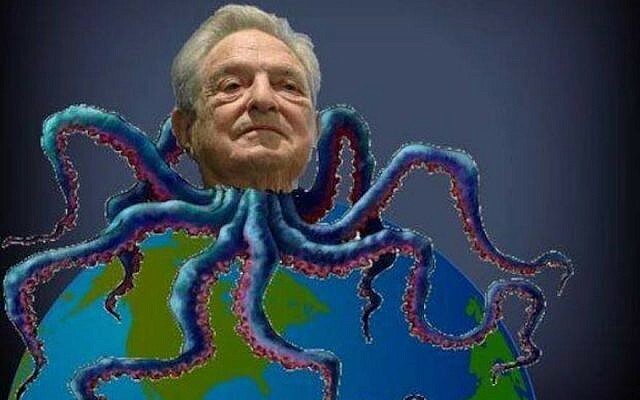 The role of Spiked-on-Line in the hate campaign against Soros has received attention on the left for the simple reason that this group, with origins on the far-left, is now popping up all over the right wing (not to say far-right) British press. They are above all celebrated as “contrarians”. Having left behind Marxism, Socialism and indeed any form of the left, the crew have found a new ‘look me up to’ in the works of Stephen Potter. It was the first of his series of books purporting to teach ploys for manipulating one’s associates, making them feel inferior and thus gaining the status of being one-up on them. From this book, the term “Gamesmanship” entered the English language. Potter said that he was introduced to the technique by C. E. M. Joad during a game of tennis in which Joad and Potter were struggling against two fit young students. Joad politely requested the students to state clearly whether a ball had landed in or out (when in truth it was so obviously out that they had not thought it necessary to say so). This nonplussed the students, who wondered if their sportsmanship was in question; they became so edgy that they lost the match. But that is not the end of the method. Sport is only one case of always being “one up” on your opponents. The Master defined the objective, “How to be one up – how to make the other man feel that something has gone wrong, however slightly.” Or, if you “are not one up, you are one down”. The advice for what Potter called “Newstatesmaning”, that is reviewing, is at the centre of Spiked on Line’s approach. Sitting down with a dog-eared copy of the book and its sequel, One-Upmanship: Being Some Account of the Activities and Teachings of the Lifemanship Correspondence College of One-Upness and Games Lifemastery (1952) the team can write any number of articles. The campaign against the so-called “Black Death” has exposed the liberals’ true agenda. The misogyny of the Suffragettes. There is are tired and trusted techniques. A master stroke is “Yes, but not in the South”, which “with slight adjustments, will do for any argument about any place, if not about any person and render any of your opponents’ assertions suspect. That side of the Act does not fit the fashionable script, which depicts the democratic victory of February 1918 as a triumph for modern feminism. Or to imply that you are somehow in the highest realm of intellectual debate, but that you are also in touch with the common taste – lowbrowmanship. Denis Hayes. Spiked on Line. 4th of January 2018.